Tony Ray-Jones: How did you start your life? T.R-J: What did you do before photography? B: I studied painting at the Beaux Arts in Budapest, Hungary, and afterwards in Berlin. I didn’t do much work. I was registered there for two years. 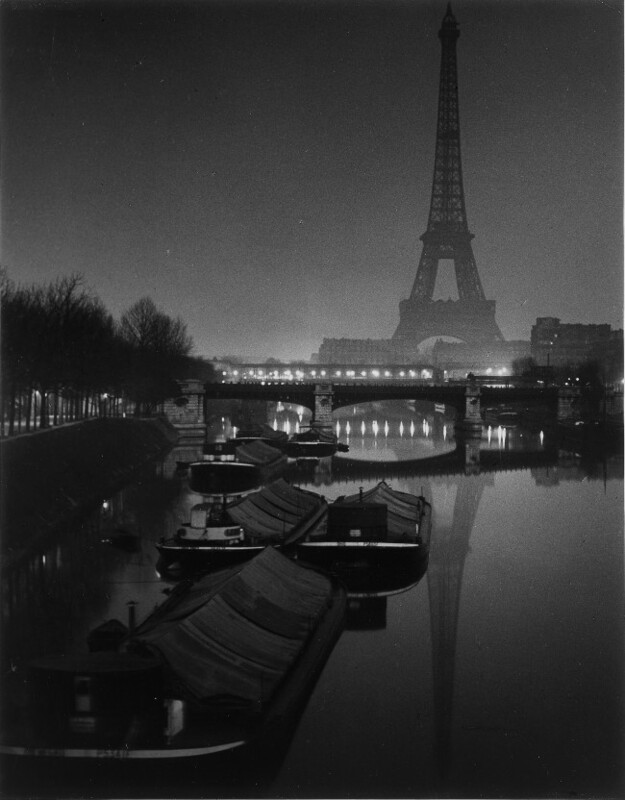 I was admitted to Berlin in 1921 and afterwards I came to Paris. I didn’t paint for five or six years; life was very interesting and I lived a little. I did some journalism, writing for the papers in Germany and Hungary in order to survive. 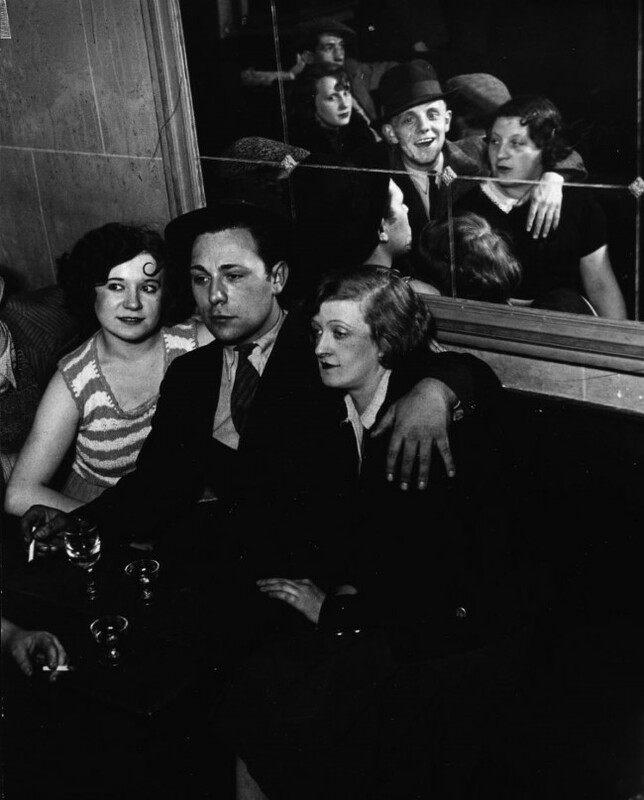 In 1930 I began photography and in 1933 I published my book Paris by Night. T.R-J: Would you say that it’s more important for a student to get a general education in art and painting than it is to get an education solely in photography? B: Yes, I think education and intelligence is important, but not art. Not artistic education, because when you take a photograph you may be very influenced by what you have seen in paintings and this happened to me often. Unconsciously I did something like Toulouse-Lautrec or Degas or perhaps Van Gogh. It was not voluntarily but because we have a culture in painting. It would not happen to a young American perhaps, who had never seen paintings and who did something with his or her sight absolutely fresh. It’s possible. But I think that it’s certain that one doesn’t only photograph with the eyes but with all one’s intelligence. T.R-J: How did you get into photography? B: I used to not like photography at all. When I was twenty I had never photographed anything. I started when I was about thirty in Paris. I walked around Paris a lot at night and saw many things. I sought a means of expressing these sights that I saw and a woman loaned me a small camera. 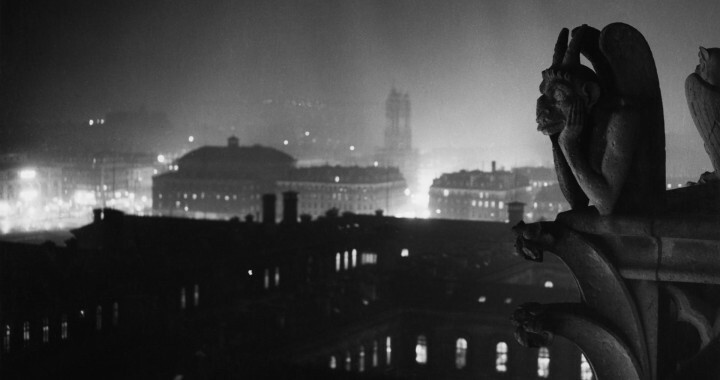 And so I begun to take night photos in 1930. 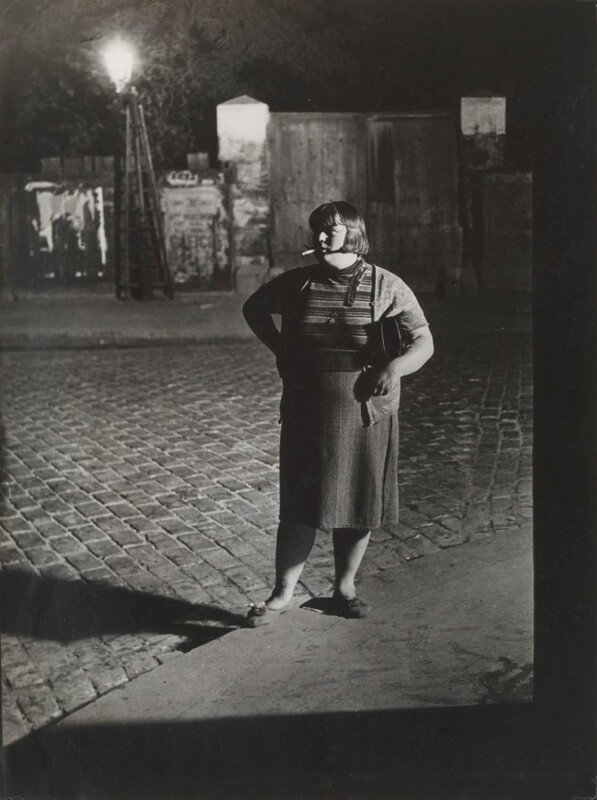 I knew Andre Kertesz and worked with him doing articles for magazines but I wanted above all to photograph the night, which excited me, and afterwards I continued and made a study of walls in Paris. I have not published this set yet but I hope to do so now. T.R-J: Were you ever influenced by other photographers? B: Not really. I knew Andre Kertesz. Perhaps I was influenced a little in Paris by Night by the painter Georges de la Tour with his candlelight paintings which gave me an idea of what things can produce at night, the hidden things and concealed lights. T.R-J: Were you influenced by any philosophers, painters or writers when you started photography? B: Yes, I was very much influenced. I liked Goethe very much and found through him a kind of objectivity. At the beginning he was a Romantic; he wrote Werther but afterwards he rejected all this and he detested the Romantics, but as he grew older he became more and more objective. He regarded the world with very objective eyes. He said: ‘The world is richer than I’. It is the opposite to Romanticism, is it not? It is this that influenced me very much in the sense that I tried to put some of this objectivity into my photography. T.R-J: What did you do in the war? B: I didn’t work because I didn’t want to work with the Germans. I went to the South of France, then I came back to Paris and photographed Picasso’s sculptures in 1932. I did some drawing except that I like strong forms. T.R-J: You associated with many painters and writers: do you feel that this kind of influence is important? B: Yes, before becoming a photographer I had already several friends who became poets or great artists, like Henri Michaud, Raymond Queneau and Pierre Reverdy, but it was in 1932, about the time I published my book, that I met Picasso, because I worked for a magazine Minotaur. T.R-J: Did you meet Atget? B: Yes, I met him only once at Borovsky’s, a picture dealer for Modigliani and Soutine. I was a friend of his. One day a man arrived at his house with a big book with photographs in it, under his arm, which he was selling. He knew Borovsky and showed them to him. They were his most recent photos. Borovsky bought two of the photographs. He sold them very cheaply to painters who wanted them as a reference for street scenes. He was old then and died two or three years later. T.R-J: Do you have any principles in photography, like not cropping for example? B: Most often I usually print the entire photograph but not always. No, I don’t have those kind of principles. Some people say one must work only with available light and that one should never light the subject. I don’t agree. If it is necessary, I light the subject. T.R-J: What for you is the relationship between composition and subject matter? B: There are two things: I think that there are photographers who compose very well but who have no understanding of life or human things. There are others who have much human understanding but no feeling for form. I feel that it is important to have both because one must convey a living thing with strong composition. Form can be many things in photography. Photography has nothing to do with painting, but even so there is a frame in which the photograph must be composed. Photography has one leg in painting and one leg in life but the two things must be combined. I like well composed pictures: I don’t like disorder in a photograph. Photography in the beginning began by imitating painting and then there was a revolution in different countries. Stieglitz in the United States and Emerson in England, and Atget in France. They all tried to do something different, they didn’t want photography to be taken for painting but wanted something especially for photography. Strangely enough when I published Paris de Nuit I received a letter from Emerson in the UK. He said: “I am giving you a medal for your book.’ I thought it was a joke. He also asked me for a picture of myself because he was doing a book on the history of photography and he wanted to put me in it because my book showed that photography is art. I didn’t reply until his second letter, I thought he was mad. In his second letter he said: ‘I am Emerson, the medalist, and you will be the last of the Emerson medalists.’ He had spent some time with the painter, Whistler, who told him that photography was not an art. He spent three months on a boat thinking about it and afterwards wrote a letter to his friend saying: ‘I was wrong. Everything that I said was wrong. Photography is not an art and I will take no more photographs.’ It is interesting because fifteen years later he told me that photography was an art. T.R-J: Do you work in the darkroom? B: The darkroom is important. I develop my own pictures and I like to print then too. T.R-J: What magazines did you work for besides Minotaur? B: Before the war I worked for German magazines and Coronet, Lilliput and Picture Post in England, and after the war Harper’s Bazaar, but I don’t especially like magazines. T.R-J: How long did you work for Harper’s? B: From 1945 to 1965 with Carmel Snow and Brodovitch, but after 1965 it changed and I didn’t do any more because they don’t have the same conception of things. T.R-J: Does the fact that magazines are so impermanent bother you in your work? B: Yes, but I find that one can do interesting things and if you keep the copyright to the photographs you can make a book out of those photographs afterwards. In one of my books the pictures are from Harper’s Bazaar. I only make lasting images, not fashionable pictures. Tony Ray-Jones was an English photographer. His book A Day Off: An English Journal (London, Thames and Hudson), published in 1974, has been very influential. He died in 1972. Posted in Highlights, Interviews and tagged 1970's, Brassai, Interview, Tony Ray-Jones.